we build, refurbish, renovate and extend homes to the highest standards. We offer a complete end-to-end service for completing new build projects. Our services even span to the initial planning phases of a project. We have supported many of our clients in appointing architects and engineers through to completing the groundworks right until they turn the key in the door to move in. We are regularly invited into large tenders for new build projects where we can take on the pre-defined drawings and ensure the project is successfully completed. Our most recent project was a £1.8 million property in Cockfosters spanning more than 8,000 square feet including a swimming pool and gym. With more than 30 years’ experience in the industry and the benefit of six years as a construction manager for one of the UK’s largest building companies, Managing Director Matt Aubrey brings a wealth of experience to this area of the business. It is important in these types of projects to forge a close working relationship with our clients so communication is always crystal clear. Our experience here covers single-storey and two-storey extensions, tailored to each individual client’s wishes. No job is too big or too small. We have a comprehensive portfolio of work in this business area. As one of the core strands of our business, we have a wealth of experience in tackling a wide range of challenges presented during refurbishment works. We have recently completed a project in Cuffley where we were praised for our proactive approach to amending a new staircase design which the client wasn’t 100 per cent comfortable on after working with a third-party architect. It is our ability to be completely flexible and agile during a project which sets us apart from our competition. 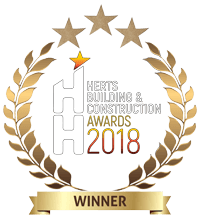 Our expertise in this area was recently given a seal of approval when we were named as finalists in the 2018 Hertfordshire Building and Construction Awards. 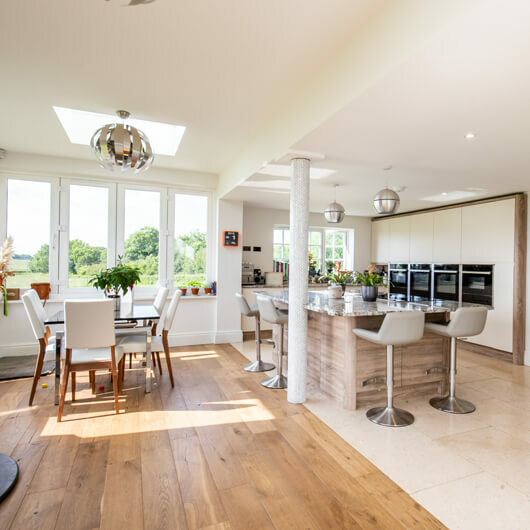 There’s been a huge surge in popularity for open-plan living among our client base in recent years – with people’s lifestyles ever-changing. We have worked on a number of these types of projects across Hertfordshire where we aim to transform a client’s living space. These types of projects often involve a lot of structural works in an age where homeowners aren’t afraid to watch renovation shows on television and gain inspiration for their own living spaces. Our services spread to the ideas creation element of a new project as well as just its implementation. We invest a lot of time in getting to know our clients, to understand their requirements and have a wide portfolio of historic projects which help a new client to pinpoint exactly what they want to achieve. Where we sit ourselves apart from a lot of our competition is in always striving to give our clients level ceilings from room to room; something we can achieve using additional steelwork. 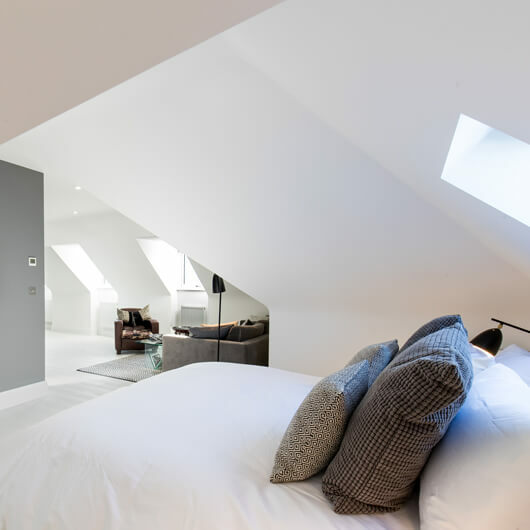 We are well-equipped to overcome all the traditional challenges which come when working on loft conversion projects. Headroom is a concern all our clients face when these kinds of works commence. We always remain focussed on getting the most from the space we are working with. This has often involved us undertaking floor lowering works to achieve the desired headroom heights. Our experienced team has never been afraid to suggest amendments to an architect’s original drawings and recommendations if we believe we can make improvements to the overall design. Adopting the same ethos for our works on new build properties, our team has the ability to complete bespoke barn conversion projects. 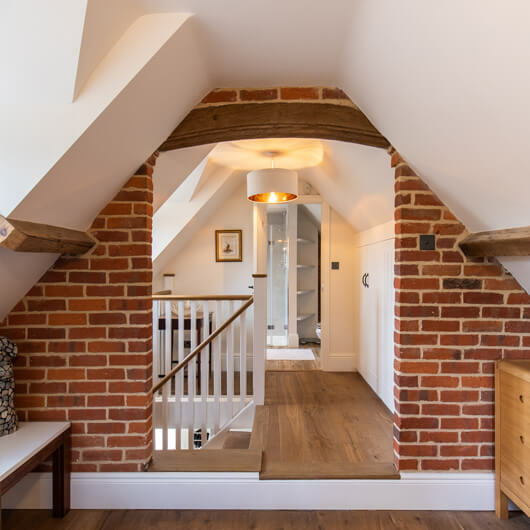 Our team is very experienced in understanding all the planning conditions involved around carrying out barn conversion and listed buildings works. We work closely with the conservation officers to ensure a smooth implementation and that the areas of the building which need to be preserved are suitably protected. 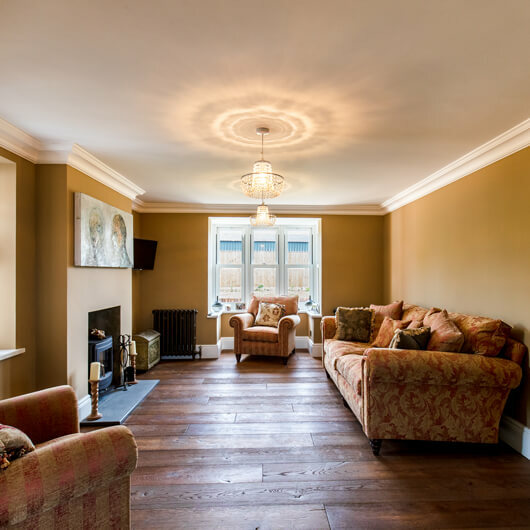 Barn conversion work often involved working with oak timbers which need careful preservation or repair, so we always approach every job as if it were our own property. We also deploy great creative thinking to make the best use of the spaces we are working with. 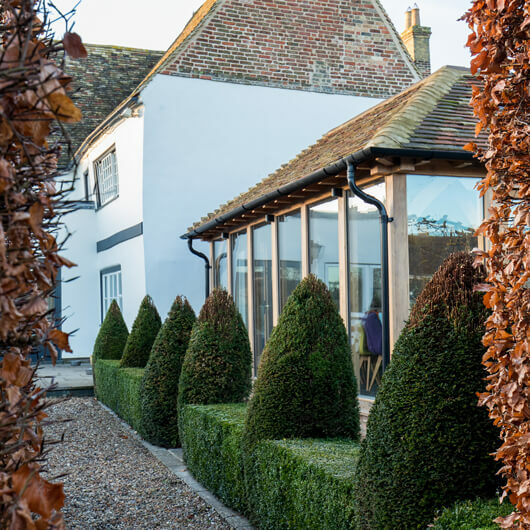 Last year, we completed an 18th century barn conversion in Ardley which added a beautiful annexe to the side of a client’s existing property.